For Westerners, facials are pretty much a luxury that we treat ourselves to every now and then. In Korea they are not seen as a treat but as an everyday essential. A Korean facial is very different to a Western facial. Koreans wear less makeup, or makeup that is not as heavy as Westerners and Europeans. You will hardly see a full face of heavy makeup and contouring. It’s a very obvious difference that is easily identified. But what is not so easy to see is the difference between a Korean facial and a Western facial. Each has their own benefits but an at home, DIY Korean facial will improve your skin faster than a once a month in-salon facial. The Korean skin care routine is a DIY at home facial that gets in-salon results. Koreans believe in prevention and maintenance. They do not wait for the wrinkles to show, they start preventing them at a young age, and their effort is paid off. A traditional Western facial is usually done in-salon and costs around $100. It starts with a double cleanse, exfoliation, steam is applied to the face for 10 min or so, then a treatment mask and finally cream is applied. Korean facials can be done at home! A Korean facial starts with a double cleanse, then exfoliation, then toner, then essence, then serum, then a sheet mask, then eye cream and moisturizers. The big difference is that YOU have all the products at home, and they can be used over and over again. 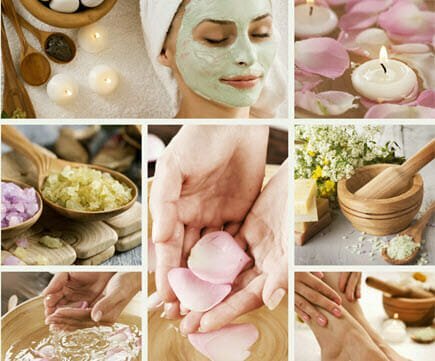 The initial purchase of all the products required for a Korean facial could be around $100 (probably less if you buy from this online store as it always has 20 – 70% off sales) but you could get up to 20 or more facials from the products. This is great news for women who want need to watch their money but still want to look after themselves. We can’t say that a Western facial is better than a Korean facial, but based on value for money the DIY at home Korean facial wins, hands down. Having all the products at home means that you can easily give yourself a Korean facial when you want and your skin will continuously be improving. Treating yourself to a luxury facial to pamper you and to take a break from the daily grind is great too. We all enjoy those moments, but often you have to make an appointment and set time and money aside for the experience. A DIY Korean facial can be done wherever and whenever you like. If you want to improve your skin and get it in great condition you need to look at the Korean facial, also called the Korean Skin Care Routine. Koreans layers products, and each product treats a skin concern or issue. Koreans take skin care and beauty seriously. Most Korean women follow an 8 to 10 step skin care regime every day. The routine helps to maintain flawless, radiant, healthy skin. For more info on the Korean Skin Care Routine, visit this link. Korean Facials – Why They Are So Good!